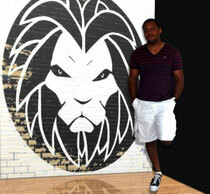 The mission of Lyons Art & Media Productions, LLC is to provide Creative Solutions to Your Business and Personal Needs. Whether you are starting a business and are seeking a branding solution, or if you simply want to preserve your precious memories and require photo/video conversion services, Lyons Art & Media Productions has a creative solution for you. Lyons Art & Media Productions is Dedicated to Innovation, which is reflected in our work. Feel free to check out samples of our Courageous Creativity on our Portfolio page. If you feel that Lyons Art & Media Productions may be able to provide a creative solution for you, we welcome your business. Feel free to visit our Store to view our online catalog, and place an order. Please Contact Us with any questions you may have. If you are an hard-working and dependable artist, looking for freelance opportunities, Contact Us to find out what partnership opportunities are available. Thanks for visiting our website, and we look forward to providing creative solutions for you! To inquire about a listed or unlisted service or product offering, Contact Us, and we will be more than happy to provide assistance. Hello. I am Fernando Lyons, the proprietor of Lyons Art & Media Productions, LLC. I have been passionate about the graphic arts, ever since I picked up my first issue of The Amazing Spider-Man back in 1977. The bright colored panels, flashy costumes, and creative art direction inspired me to pick up a pencil to try my best to reproduce the images that were burned into my young impressionable mind, thus spawning a lifetime of creativity. I am gifted in several graphic art styles, however, my expertise is drawing and my preferred medium is the pencil. Throughout the years, I have nurtured, developed, and expanded my talents, while working on various personal and commissioned projects. My work has been displayed in the state museums, periodicals, websites, and on flyers, brochures, walls, tee-shirts, and body parts (tattoos). I am also the co-creator and illustrator of the Messengers of the Hidden Truth comic book series from 4Shadow Entertainment. I developed Lyons Art & Media Productions as a forum to share my talent with the world, while providing organizations and individual customers with invaluable services. I hope that you enjoy your visit to this site, and I look forward to the of providing creative solutions for you.